The definitive story of the people, the radio and television stations, and the events that built an industry and a state. Broadcasting touches almost every person in the United States every day. But like the air we breathe, we seldom give it a second thought. 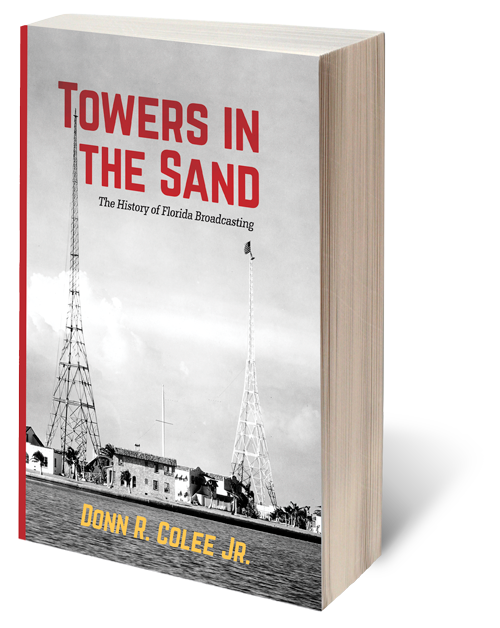 Towers in the Sand is the only comprehensive history of Florida’s broadcasting industry 1922-2016, the people who brought those stations to life, and the events that saw the state grow from boom to bust and back again to now the nation’s third most populous. Over a decade in the making and fully referenced and indexed, Towers in the Sand tells stories from over eighty Florida broadcasting pioneers and current leaders from the Keys to the Panhandle. A celebration of broadcasting’s proudest moments through hard-hitting journalism and editorials, lifesaving moments through decades of hurricanes, and lighthearted moments with favorite personalities and promotions, Towers in the Sand also laments the loss of a national treasure as most stations were transformed from local community partners to lines on corporate balance sheets. As broadcasting sits at the precipice of a very uncertain future, the author hopes through this work to engage thought, conversation, and action to ensure its continued relevance in society.